Primerica Health Insurance has recently concentrated its efforts under the name PFI Benefits. Almost 50 million Americans are without health insurance, and it is Primerica’s mission to provide the option of exceptional healthcare products at an affordable price. If you happen to be self-employed, running a small business or are unemployed, Primerica has over 40 alternative options to make sure you don’t miss out on adequate coverage. Are you in need of health insurance? Don’t wait any longer; enter your zip code to find health insurance quotes in your area, today! If you happen to make routine trips to the pharmacy and are looking to save over 25% on prescription drugs (34% average savings), Primerica can offer the RxPlus Discount card. Over 50,000 pharmacies in the United States currently and you can register free! If you require testing and or imaging from a laboratory, a commonly misconstrued notion is that you must require a doctor’s note. This is false; all you have to do is sign up for a pre-paid service online through Primerica at their website. Once you visit the lab, Primerica will send the paperwork you need for testing, and contact you when the results are ready. If you are expecting a newborn child, you may receive 40 to 50% discount off the cost of all expenditures for your pregnancy! This includes but is not limited to the various doctor visits, any lab work, including ultrasounds and finally delivery costs on the birth date. To find out more, you can call 888-210-5381 or visit their website. Is there a JCPenney near you? If so, you are eligible for a 25% discount with your brand new card on any prescription eyewear, even designer! Don’t fret, JCPenney staffs their optical centers within their stores with highly trained, independent optometrists, ensuring that you will get the proper diagnosis for your vision. PFI works with numerous hospitals across the world that can provide you with the best care possible for your required surgery at a 30-80% discount. If you would like to learn more about the screening process, please visit http://www.bridgehealthmedical.com/PFI. Primerica and its division known as PFIBenefits has an extensive relationship with Medical Cost Advocate, whose goal is to stop medical professionals from charging you too much for care. Together, they understand that it would be difficult to argue the cost of medical care, from the point of view of the patient, because you require the care, and typically don’t have a vast knowledge of the procedures. These expert negotiators can help settle your bills, before or after your visit to the doctor or the dentist. The best part of the agreement is, if you don’t save any money on your bill, the service is free. Typical savings range from 20-50% per bill. Find out more by visiting www.medicalcostadvocate.com and entering the promotional code PFI100! Once you receive your RxCard through PFIbenefits, you can receive a 15% discount at Beltone if you require hearing aids. Even if you are the only member in your family, your immediate members can receive a hearing screening at any of Beltone’s locations, which can be found at their website www.beltone.com. 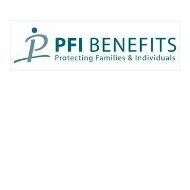 If you are without insurance, or not receiving adequate coverage, PFIBenefits can help you service your diabetic product needs at rates 60% below normal market pricing. This includes any sort of testing materials you may need, such as strips, blood pressure monitoring, and footwear. In addition, diabetic-specific food and vitamins are available as well at these discounted rates. Obviously, diabetes is a very serious disease, and has to be treated on a day-to-day basis, and that is why you can receive most of your orders, shipped directly to your door, within 24 hours time. If you happen to spend over $100, the entire package will be shipped at no cost! This is a popular option in today’s insurance market, especially for small businesses or a family, due to its tax advantages. For the price of a high deductible, at $1,100 for yourself or $2,200 for your family, you gain access to tax advantage savings account to pay your medical expenses. Any deposits or withdrawals are exempt from your typical taxes and you can keep the funds in the account as long as you have the plan! If you are looking for health insurance quotes in your area, please enter your zip code.